AB’s Naída CI Q Series (Naída CI) sound processors are the newest, most-advanced behind-the-ear sound processors in the world. 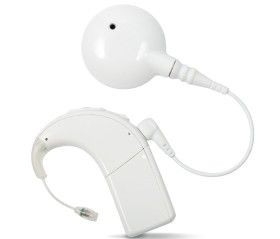 They features a chic, lightweight design; exclusive AB and Phonak innovations, including Binaural VoiceStream Technology™; and fashionable colors for high-performance hearing that is always instyle™. AutoSound™ OS Technology: Intelligently analyzes and automatically adapts to the sound around you, so you hear your best wherever you go without having to change programs or adjust settings. ClearVoice™* Speech Enhancement Technology: AB sound processing strategy that automatically separates distracting noise form the speech signal. 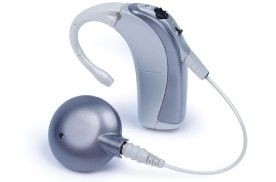 Clinically proven to help you hear significantly better in noise. * Not approved for pediatric patients in the United States. Universal Headpiece (UHP): Low-profile headpiece with an integrated microphone designed for everyday use, with interchangeable color caps and cables to meet each recipient’s needs. Roger™ Pen streams a speaker’s voice or multiple speakers’ voices to the Roger 17 receiver and can also be used for cellphone calls or for listening to the TV and multimedia players. Phonak DECT Phone looks and works like a regular cordless phone, but also transmits sound simultaneously to both your Naída CI processors (or a processor and compatible hearing aid), while reducing noise to maximize understanding on the phone. 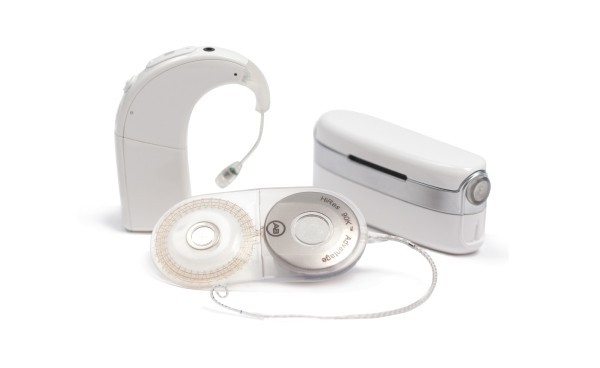 Phonak EasyCall accessory attaches to any brand of Bluetooth-enabled cell or smart phone and streams calls to both your Naída CI processors (or a processor and compatible hearing aid) for great sound quality and speech understanding. Naída CI sound processors come in a variety of fashionable and subdued colors for showing off your processor or helping it to blend in with your hair or skin. Headpiece covers come in a wide assortment of modern colors. 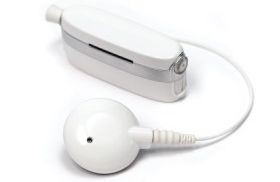 T-Comm™ Accessory: Light-weight, ear-level module allowing T-Mic™ microphone use and a built-in telecoil with Neptune for easy access to cell phones, FM systems, consumer audio electronics, and more. Universal Headpiece (UHP): Low-profile headpiece designed for everyday use with interchangeable color caps and cables to meet each user’s needs. T-Mic™: An in-the-ear microphone for hearing in noisy environments and gaining effortless access to cell phones, consumer audio electronics, and more. If your request needs immediate attention or you have additional questions, please contact Info.India@AdvancedBionics.com.